Anyhoo. On to our Trader Joe's review. This week: Joe Joe's Truffles. At our TJs, they're right by the register...daring you to resist them. 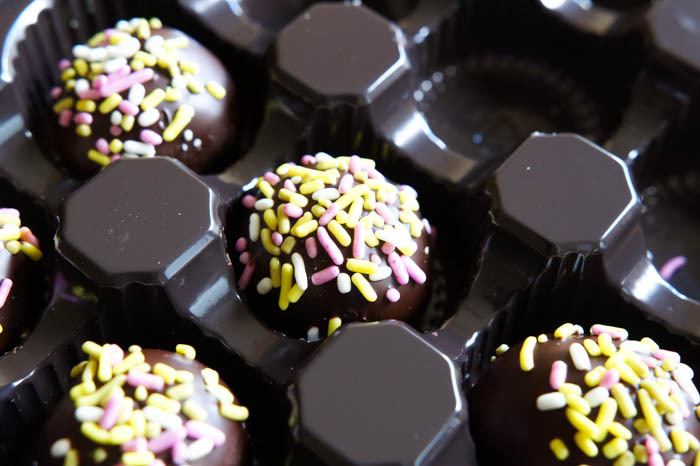 A box of 12 truffles costs $3.99. Description: "...Chocolate Vanilla Joe Joe's with creme and white chocolate...in dark chocolate...with pastel sprinkles." A mom's (my) take: It's really, really, REALLY difficult to stop at just one of these. The crushed cookie center surrounded by smooth and rich dark chocolate is irresistible. My advice: take one, close the box, put box away. Otherwise, it's too easy to just grab another...and another. A teenager's (Jack's) take: These are amazing! You know my taste tests are all about consistency, and these truffles are no exception. 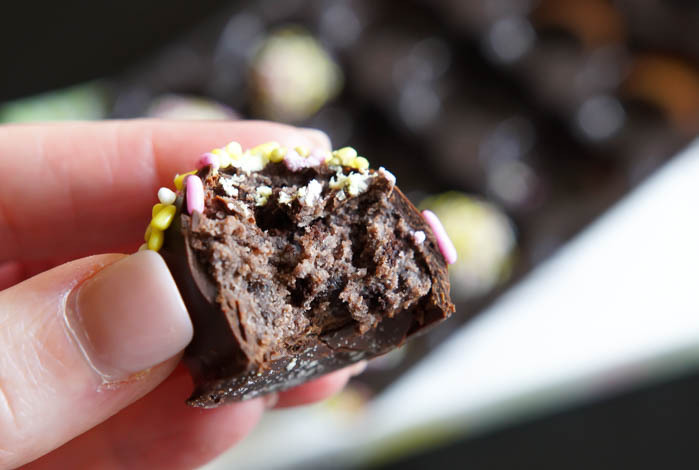 The chocolate coating is thick, but it yields smoothly to the cake on the inside. The cake is really delectable, and it's a bit sticky rather than crumbly, which is great for avoiding crumbs. :) Finally, for me, all of the components don't lean noticeably towards "dark" or "milk" chocolate--I would believe it if it was either one. I don't really know what else to say, but let's hope more of these don't show up in the pantry, because I'm eating them! 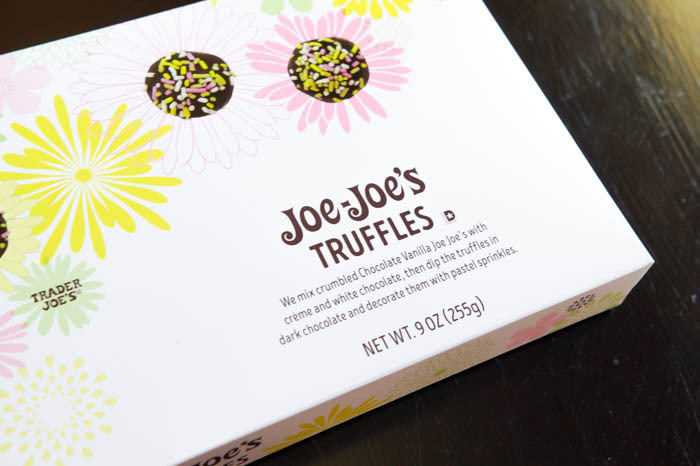 Trader Joe's Joe Joe's Truffles: Get some!